Anyone travelling west on the Budd Car out of Sudbury follows the historic route of the first transcontinental line that was built across Canada in the 1880’s. 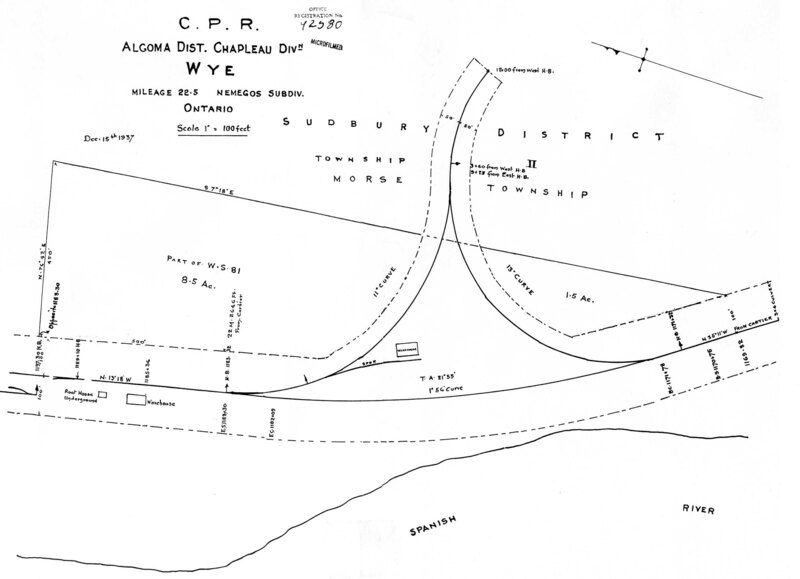 Dotted along the line are many stops, small villages and towns that were created to service the railway: most were sidings for passing on the single tracked rail line or to lodge section gangs that serviced the road bed and rails. 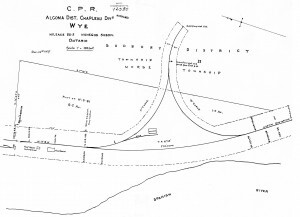 Occasionally, larger service centres, such as Cartier and Chapleau, were built as major rail depots. However, some stops were created after the rail line was built in the 1880’s due to demand unforeseen at that time. One such place is Sheahan, our stop to access Lake Pogamasing. As the Budd Car approaches the Sheahan stop, a traveller today sees nothing of the siding or former village that existed 75 years ago. At the station, if you glance out the window on the east side of the car, you might notice a vacant field surrounded by a stockade of scruffy jack pines. It would be hard to imagine that in the 1930’s there was a small village of 20 or so buildings belonging to the W. B. Plaunt Lumber Company. However, Plaunt was not the first company to construct buildings and operate from this CPR stop. The stop at Sheahan has undergone two previous name changes, all reflective of its railway past. The first was called Munro Siding, named after J. W. Munro, a lumberman who needed a siding to unload his supplies into warehouses. Munro logged the area from 1891 to the turn of the century. The subsequent companies that came after – Charltons and Cleveland-Sarnia – added to these buildings as they needed to supply larger logging operations inland. According to CPR records the siding name changed to Wye in 1917. The reason for this was to reflect the change from a siding to a ‘Y’, which is a railway term indicating that the siding added another arm to to the siding that now forms a triangle. This allowed an engine to reverse its direction so it could return from where it came. It’s difficult to know why the change was needed other than the railway wanted some cars or an extra engine to return to Cartier or Sudbury, rather than continue to Chapleau. However, Donald Warren, a CPR engineer, wrote in a comment following this post that the Y may have been built to deal with the Stralak hill, and once the freight had past it, the extra engine could enter the Y and return to its origin, probably in Cartier. After White and Plaunt (at that time Ed White was a partner of Plaunt) decided on the site at Wye, they built a sawmill alongside the Spanish River to mill jack pine they drove down from the headwaters (Duke lake) of the east branch of the Spanish River . Once they assessed the Pogamasing area for pine they built more buildings; a stable, bunk houses, an office, a black smith’s shop, a root cellar, and homes for their workers’ families and a school house for their children. This village existed for ten years until the pine was exhausted and could no longer support the mill. After Plaunt left, the CPR changed the name of the stop to Sheahan in 1943 to reduce confusion with the other Y. The new stop’s name came from a CPR doctor from Chapleau. In 1945 the KVP company of Espanola bought the village site and established several pulp camps in the area. 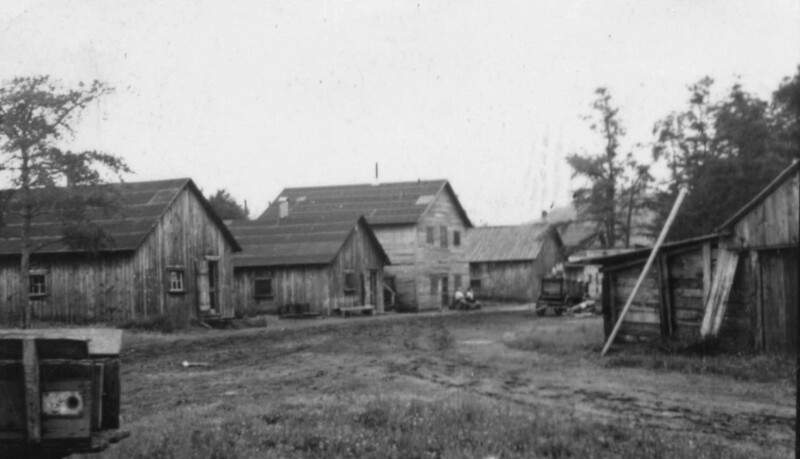 Camp 100 at Sheahan became the depot for these pulp camps, including Camp 103, a prisoner of war camp. Once KVP was finished in the area in the mid-sixties the buildings were torn or burned down. 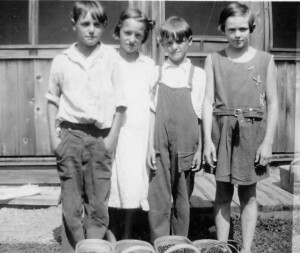 Life in the Wye sawmill village during the Depression years was unlike what was happening in the rest of the country. Although the lumber market was depressed, W. B. Plaunt managed to keep his mill operating throughout the decade. According to accounts of the young people who grew up in the village, it was a great place to be away from the troubling times in the cities. To learn more about that life, you can read about it from the perspective of five people who lived in the village in Chapter 13. Very interesting and well edited — am almost sad when one of the story’s end and want to read the next one — you have been able to pique the readers interest and make the historical “tales” intriging. Can see that you have been very busy. Of interest is that we’re conducting our annual Scouting trip such that we’ll be camping near the ‘plaque’ on the Saturday night, July 2nd. 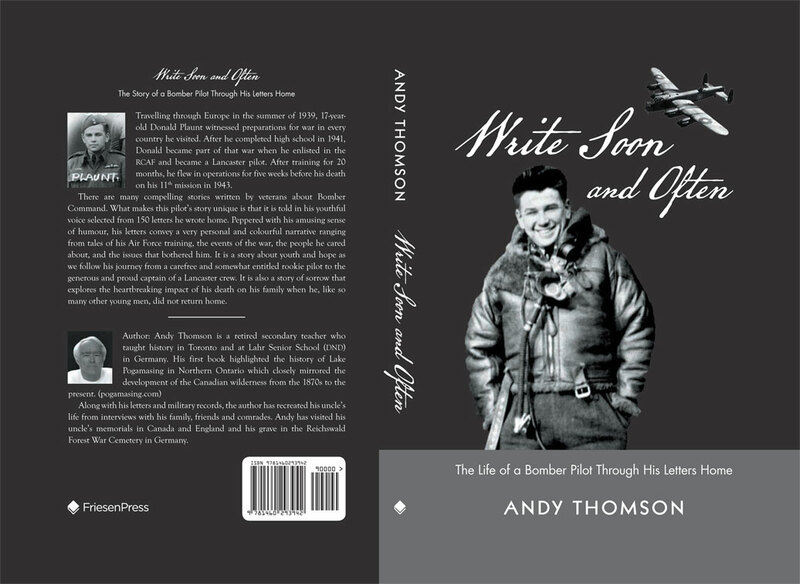 With your book launch on the 1st, might you have time to drop by and chat? John. 23rd St Bart’s Scouts, Sarnia. KVP? What does this achronym stand for? Thank you for the article. I have worked for Canadian Pacific since 1973 and have frequently work as a Locomotive Engineer on the Bud Car. Shehan is a frequent stop and I’ve had the pleasure of meeting many of the residents who commute to its serenity each summer. Although not certain, I suspect Canadian Pacific’s reasons for placing a Y at Shehan was to accomade locomotives needed to climb the Stralek hill. It was a common practice to position Steam Locomotives at the base of hills. When a train approached the hill with to much tonnage for the grade additional locomotives were added to the consist At the top of the hill the locomotives were disconnected and would return to the base. The Y was used to turn the engines so they were in position to assist the next train approaching the hill. The hill lying East of Pogomasing is longest climb on the Nemegos Subdivision which runs between Chapleau and Cartier. Trains travelling eastward fill the affect of the grade approximately two miles east of Pogamising and don’t break gravities hold until they crest the hill at Stralek some 10 miles later. I’m just speculating, but this senario may help to explain Y they placed Y at sheahan. Thanks for this very rational explanation for the origin of the Y. I had no idea of the Stralak hill so didn’t know of the need for the extra pulling power. This is much the same reason an extra team of horses was used for a tow hill while pulling logs to the dump on the ice. 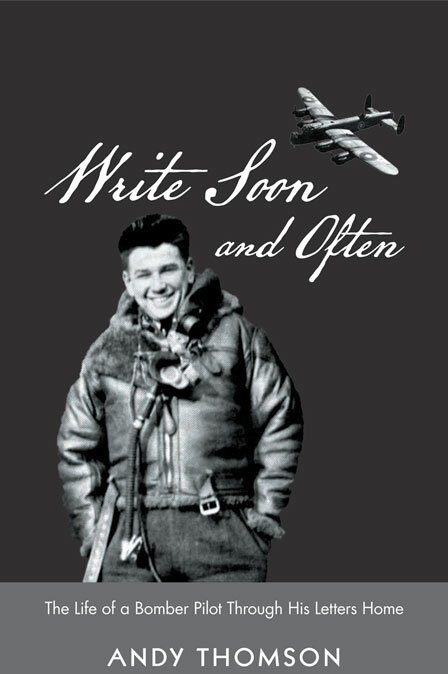 The explanation for this is in chapter 12 of my book and can be seen in the movies Bill Plaunt took in 1940. Kalamazoo Vegetable Parchment (KVP) Co.
was a Michigan firm that took over the Spanish River pulp and paper mill at Espanola in 1945. Doing some research on a tugboat named W.B. Irene, originally owned owned by KVP Company in 1945. Could this be the company that owned the small tugboat. The tugboat, if its name is correct, is located in Pullman, MI. My wife spent several years in Forks as a child. We would like to revisit the área, and would like information as to how we could do this. The only way to get to the Forks is either by VIA Rail or the Spanish River. I have never been to the Forks but I presume it is now simply a ghost stop, recognizable only by the siding that is still used to allow trains to pass. As to how to visit I really don’t know what to advise. The easiest way would be to take the Budd Car out of Sudbury but I doubt you will see much of what your wife would remember. Does she have any photos of the stop? Next time I’m on the Budd car I’ll ask the Via people what’s there and get back to you.